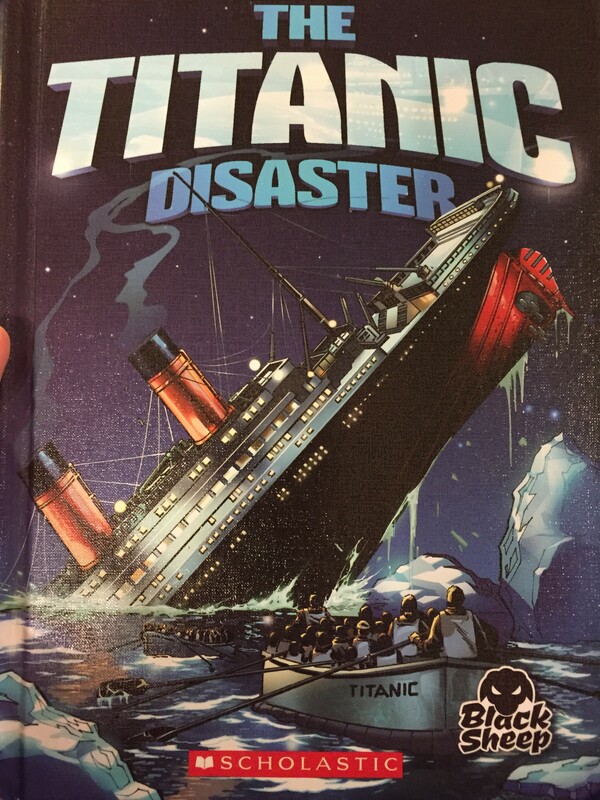 In this graphic novel adaptation of the disaster of the titanic readers learn some of the facts and events that led to the sinking of one of the greatest ships ever made. 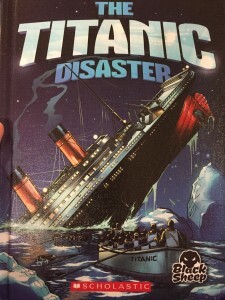 The illustrated panels are of various sizes, to help highlight the importance of various events (such as the Titanic headed toward the deadly iceberg). The lines that separate each of the panels are black, which help set the mode of this somber event in history. Each of the speech bubbles are very clear to indicate just exactly who said what. And there are also orange squares of text that help to narrate events as well. The book also includes a list of a few bonus facts, a glossary, index, and a list of further resources. Although this book is less than 25 pages, readers will learn quite a bit about the Titanic. This is a good introduction to one of the most famous disasters in history. April 1, 2015 in book review, elementary school, graphic novel, juvenile, middle school, nonfiction.